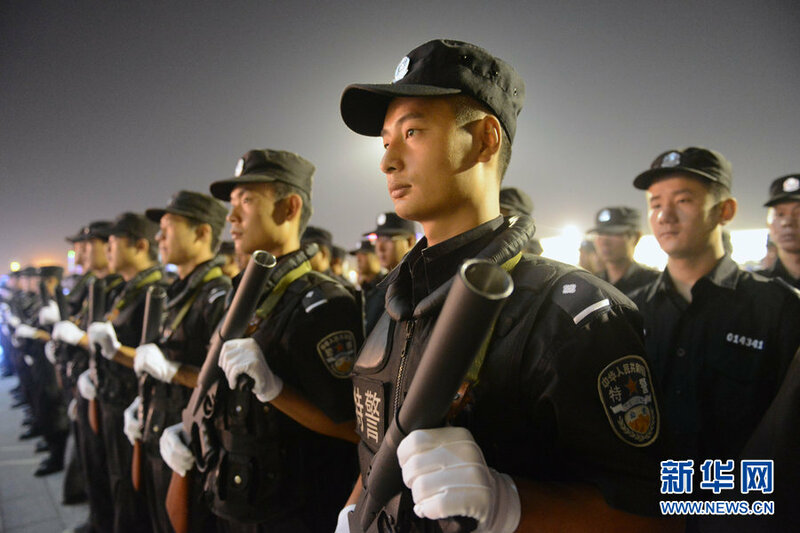 An special police officer in Taiyuan. Update: Additional photos added at end of article. 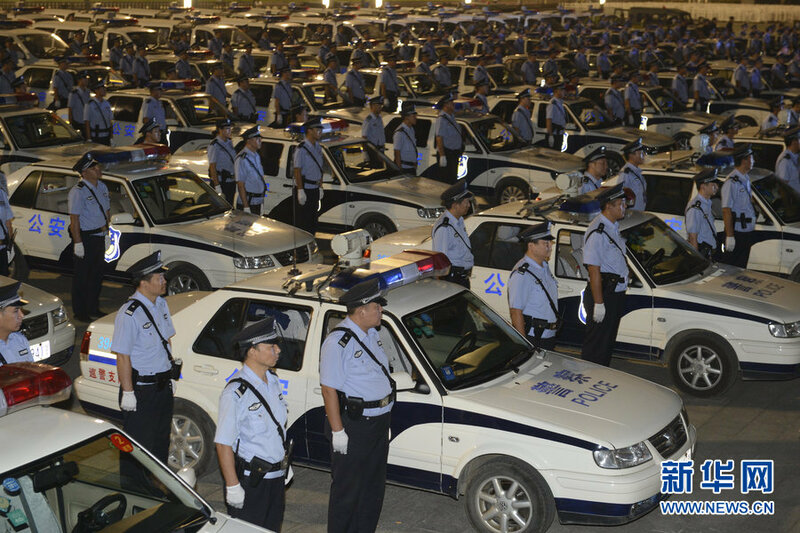 On the evening of August 22, 2012, the Taiyuan Municipal Police Department in Shanxi Province launched a “provincial capital public security and public incident prevention and control combined patrol demonstration” at the Taiyuan Coal Business Center. 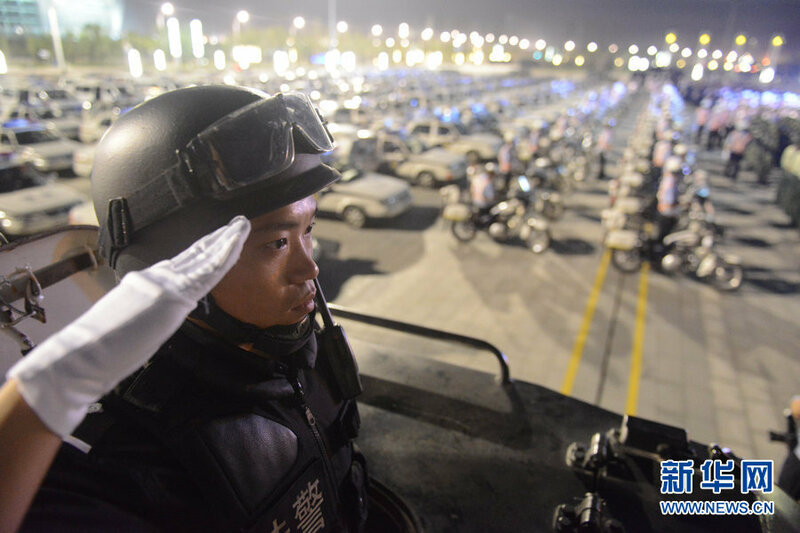 The combined patrol officially started at 8 p.m. Taiyuan’s armed police, patrol police, special police, traffic police and all other divisions and units formed an all-weather, all-terrain 103-unit strong “golden shield” patrol squad. 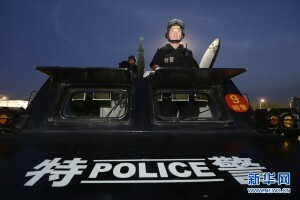 This high-density force has been set up to patrol public incident prevention and control activities and police checkpoints, as well to as aid the masses. 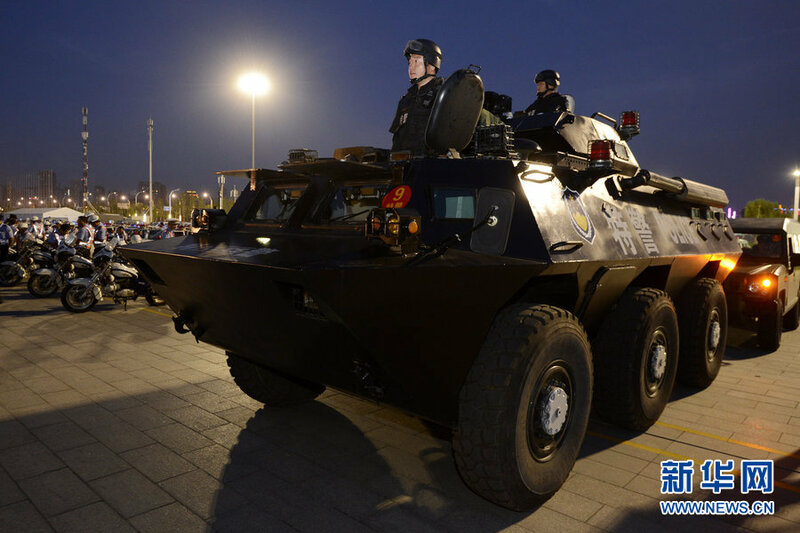 It will maintain public order in Taiyuan during the Chinese Communist Party’s 18th session of the National People’s Congress. 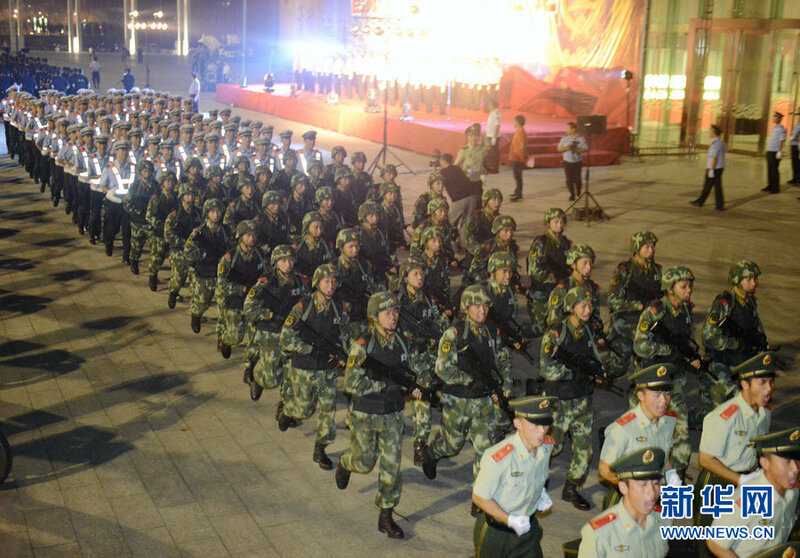 During the National People’s Congress, new leaders will ascend to the Politburo Standing Committee, the presidency and premiership. Xi Jinping is expected to take over from Hu Jintao as president and general secretary of the Communist Party. A reduction in the number of Standing Committee members from nine to seven is also anticipated. 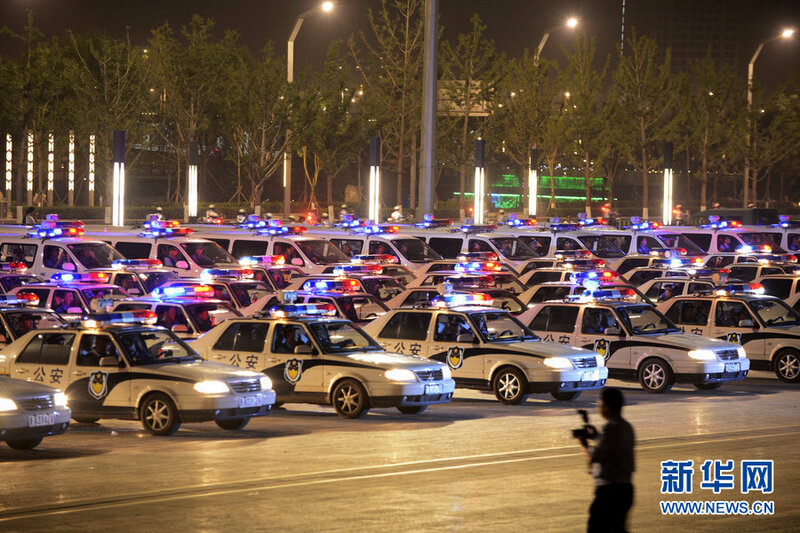 Authorities are particularly wary of unrest during the Congress in the wake of the Bo Xilai scandal. Read more about the upcoming leadership transition from CDT.